From simple heirloom jewelry repairs to major reconstruction. 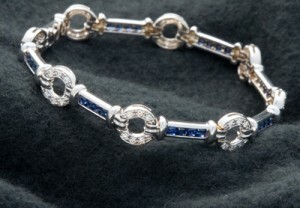 Though the monetary value of heirloom jewelry is usually very high, the sentimental value is almost always priceless. For that reason alone we are extremely sensitive and take great pains to be sure we approach restoration with the utmost care. Before we do anything to the piece, we do a detailed inspection and evaluation to plan the best approach to repair or redesign. 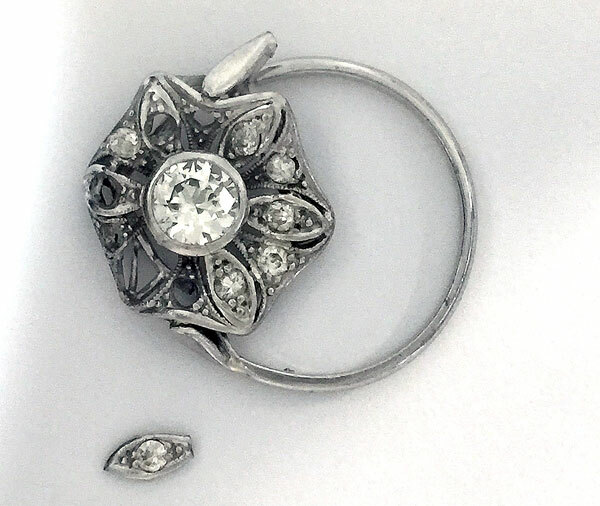 All heirloom jewelry should be restored not only for beauty, but also taking into account who will be wearing the piece and how they will wear it. 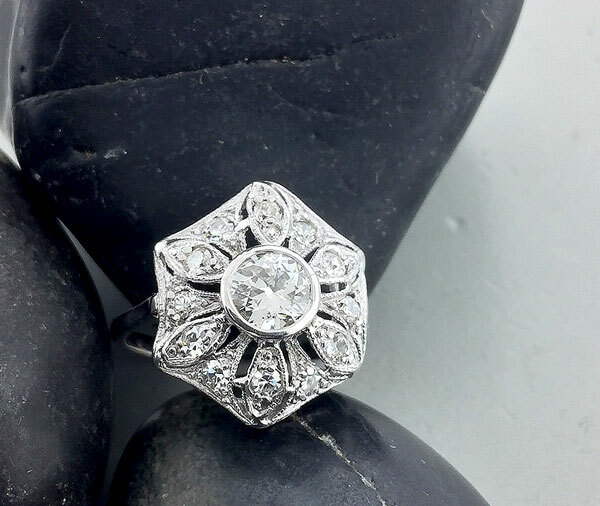 If you have a piece of heirloom jewelry that is in disrepair, we would love to help you restore it. Call us or bring it in today. Sometimes bad things happen to good jewelry. 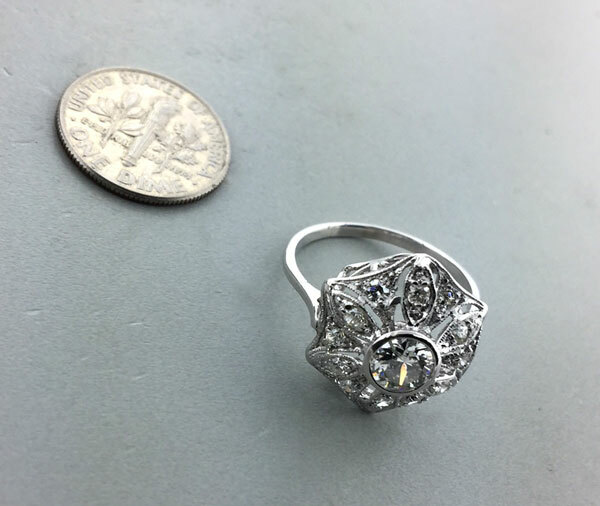 This special ring was accidentally run over by a car! Fortunately we were able to bring it back to life again.